984 Commercial Real Estate and Properties in Sydney Eastern Suburbs are listed in 7 categories. We have 742 Offices for Sale & Lease , 129 Retail Shops for Sale & Lease , 94 Industrial Warehouses for Sale & Lease , 10 Showrooms for Sale & Lease , 10 Development Lands for Sale & Lease and 8 Other Commercial Properties for Sale & Lease . Cafes And Shops Nearby | Fitted And Furnished | Creative Space $1100pw | 8 Person Worksp..
PROPERTY OVERVIEW $1100pw Price incl. 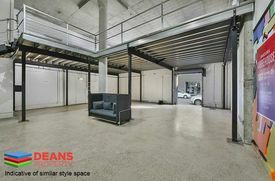 Contemporary office space for rent in a chic Darlinghurst location with city views and a rooftop swimming pool. This flexible workspace is perfect for freelancers or small teams in the startup, technology, creative and services space. The expansive light filled office features a large shared space with dedicated desks, a 4 person unfurnished private office suite and a spacious glass walled meeting room, plus a generous kitchen and breakout space at the centre of it all. Fill your lunch breaks with refreshing swims in the heated rooftop pool or explore the sophisticated restaurants in fashionable Darlinghurst. In the office there is abundant storage space, secure bicycle storage and commercial grade internet inclusive. This upmarket office space in Darlinghurst is available on flexi terms starting from 1 month with the ability to upsize your space as you grow. Enquire with Office Hub or book a tour to view this hidden gem! The Oxford Foundry is a beautiful heritage listed building nestled on a quiet lane in Darlinghurst. Just steps from Sydney CBD, it offers a city lifestyle at a slower pace without the traffic and noise you’d get down the road. The striking white building is home to a mix of exclusive commercial tenants and high end residential occupants who together enjoy an historically significant building that has been expertly refreshed to meet every modern convenience. The fully secured building offers showers, bathrooms, a rooftop terrace and heated swimming pool, Fibre internet with various high speed telecom options and multi zone air conditioning. Nestled just off Liverpool Street, this coworking hub offers tenants an easily accessible location between Hyde Park, Surry Hills and Kings Cross – step outside the office to discover diverse and delicious cuisine and a vibrant small bar scene in this eclectic inner city suburb. The advertised office space is perfect for a team of 8. If you need more or less space, we have over 30,000 furnished workspaces all over the world suitable for a team of 1 to 200+. Our award winning team offer a free service that will help you find the perfect solution for your needs, so reach out if you need more help. What you get for your weekly rent , Access to complimentary bar , Access to internal breakout areas , Access to kitchen facilities , Access to secure printer and scanner , Building outgoings included , Commercial grade internet (Free) , Dedicated desk with business hours access , Electricity usage included , Flexible lease with the ability to grow into bigger space , FREE use of the meeting rooms , Plug and play furnished workspace , Premium coffee/tea facilities , Regular cleaning Building features , Abundance of natural light , Air conditioning , Boutique low rise buidling , Car parking Street / Public Car Park (Paid) , Car parking Street (Free) , Creative space , Direct access to public transport , End of trip facilities e.g showers, bike racks , Mixed commercial and residential building , New fit out , Print, scan and copy facilities , Private offices and dedicated desks available , Professional working environment , Rooftop Bar and break out space , Swimming pool and change rooms 550m to Museum Station 300m to Crown & Oxford Streets 220m to Oxford Village Shopping Centre Opposite a coffee shop and yoga studio 15 min walk to Kings Cross Station Who is Office Hub? Office Hub is the world\'s No.1 marketplace for office space. We have a huge global selection of coworking spaces, serviced offices and shared office spaces with flexible options to suit teams from 1 200 people. We\'ll take you on a tour of all the workspaces that fit your needs and work on your behalf to get the best price possible. We\'ll help you discover how shared office space can be the most beneficial and budget friendly solution for your business. www.office hub.com Conditions apply – the advertised price includes any incentives offered based on a 12 month agreement and is available to new tenants only. Please note that the rental rate may increase for a shorter rental period. A portion of the square meterage factors in access to shared space. 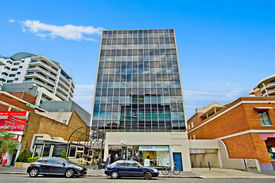 Professional Space | Great Location | Quiet Workspace $380pw | 2 Person Workspa..
PROPERTY OVERVIEW $380pw Price incl. Spacious and newly refurbished consulting room for Allied Health Professionals in a popular Edgecliff location. This freshly renovated office suite offers a peaceful, quiet and sophisticated environment in which to meet with patients, perfect for psychologists, counsellors, dietitians, naturopaths and other health professionals. The well secured office is offered unfurnished and on flexible terms so you can set it up the way you like it and stay as long as you need on a rolling monthly contract. The reception, waiting area, kitchenette and bathrooms are shared with a team of highly qualified clinical psychologists and they’re focused on providing a safe and confidential space for their clients. A fantastic office space for an Allied Health Professional working in the Eastern Suburbs with flexible terms and minimal setup required. Book a tour today to visit this tranquil consulting room and its lovely Edgecliff location at a time to suit you. This practice sits within Edgecliff Mews, an exclusive commercial complex located directly opposite Edgecliff Train Station. The complex features a variety of consulting rooms and office suites largely used for Allied Health purposes with a professional atmosphere and an abundance of greenery within the grounds. Set back from the road, Edgecliff Mews maintains a peaceful environment to the benefit of its practitioners and patients while being easily accessible from its position opposite Edgecliff Railway Station. 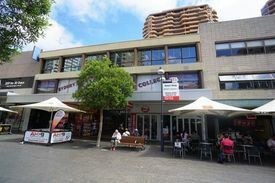 Within the station building there is also Coles, Aldi, several banks and a few cafes to pick up your morning coffee plus 2 hour free car parking for your clients. Double Bay Wharf is just a 15 minute walk away, abundant bus links go to the Eastern Suburbs and and there are several gyms, schools, bays and parks in the area to help you balance life and work. Edgecliff offers a refined and cosmopolitan location in which to grow a health practice with great proximity to neighbouring urban centres and lifestyle destinations in Sydney Harbour's beautiful bays. The advertised office space is perfect for a team of 2. If you need more or less space, we have over 30,000 furnished workspaces all over the world suitable for a team of 1 to 200+. Our award winning team offer a free service that will help you find the perfect solution for your needs, so reach out if you need more help. What you get for your weekly rent , 24/7 Access , Access to kitchen facilities , Access to secure printer and scanner , Building outgoings included , Commercial grade internet , Electricity usage included , One simple bill for everything related to your workspace , Private lockable office , Regular cleaning Building features , Air conditioning , Boutique low rise buidling , Car parking Street / Public Car Park (Paid) , Company Branding at reception , Direct access to public transport , Professional working environment , Unfurnished office space 110m to Edgecliff Train Station & shopping centre 180m to Anytime Fitness Edgecliff 650m to Rushcutters Bay Park 1km to Double Bay Wharf 3.2km to Sydney CBD Who is Office Hub? Office Hub is the world\'s No.1 marketplace for office space. We have a huge global selection of coworking spaces, serviced offices and shared office spaces with flexible options to suit teams from 1 200 people. We\'ll take you on a tour of all the workspaces that fit your needs and work on your behalf to get the best price possible. We\'ll help you discover how shared office space can be the most beneficial and budget friendly solution for your business. www.office hub.com Conditions apply – the advertised price includes any incentives offered based on a 12 month agreement and is available to new tenants only. Please note that the rental rate may increase for a shorter rental period. A portion of the square meterage factors in access to shared space. This fully refurbished and secure commercial terrace is ideally suited for medical use or office space. Features: + 10 sqm (approx) ground floor commercial space + Includes shared use of reception area, internal kitchenette and bathroom facilities + Recently refurbished throughout + Secure building with alarm and intercom access + After hours access + Independent air conditioning unit + One (1) on site car space with rear lane access available at additional cost Ideally located on leafy Grosvenor Street, just a short walk from Bondi Junction bus/rail interchange, Westfield Shopping Centre and Oxford Street Mall. + 30 sqm (approx.) open plan corner office + Fully air conditioned with shared amenities on floor + East facing with district views and great natural light + Suits office, professional services or health services + Potential for internal water facilities + Dual lift access to security building Easts Tower is Ideally located in the heart of Bondi Junction just a short walk to Oxford Street Mall, Westfield and bus/rail interchange. Join quality tenants East Leagues Club and Elixr Health Club. Close To Public Transport | Modern Utilities | Ideal Location $354pw | 2 Person Workspa..
PROPERTY OVERVIEW $354pw Price incl. 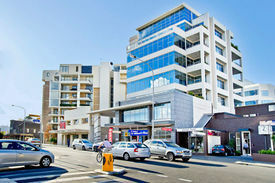 Traditional plug and play office space in convenient Double Bay location. Price incl. Internet, Electricity, Building Outgoings, All Utility Bills & Kitchen facilities Private offices Modern fit out Plenty of natural light 24/7 access Eastern Suburbs location Fully furnished Available NOW for long or short term lease This beautiful, newly developed complex is located in the buzzing heart of Double Bay. Five stories high with floors that are filled with copious amounts of natural light, this professional workspace has a variety of private offices that are perfect for businesses seeking a new home. With Sydney's CBD and Edgecliff Train Station only minutes away & plenty of parking nearby, your business will be well connected. The advertised office space is perfect for a team of 2. If you need more or less space, we have over 30,000 furnished workspaces all over the world suitable for a team of 1 to 200+. Our award winning team offer a free service that will help you find the perfect solution for your needs, so reach out if you need more help. What you get for your weekly rent Furnished office with desks, chairs and lock up storage units Electricity usage included Commercial grade internet Complimentary receptionist to meet and greet your clients Use of kitchen with tea, coffee, filtered water provided Professional business address to put on your cards Access to meeting rooms and boardrooms Flexible terms from 1 month 2 years Ability to bring your existing phone number over Regular cleaning 24 x 7 access to your office 24 x 7 security Office Features Private balconies on selected offices Air Conditioning Brand new quality fit out Dedicated mens and ladies bathroom on each floor 30m to New South Head Road Bus Stop 400m to Edgecliff Train Station 450m to Double Bay Wharf Walking distance to popular bars, restaurants & cafes The business centre backs onto the newly developed Kiaora lane development, which hosts businesses such as Woolworths, About life and the Double Bay Library WHO IS OFFICE HUB? Office Hub is Australia & New Zealand\'s No 1 small office space commercial real estate agency. We have the largest collection of shared spaces, coworking and serviced offices in Australia & New Zealand, perfect for 1 100 employees. Let us take you on a tour of all the spaces that fit your needs and budget. Our service is complimentary and we work for you and the landlord to negotiate the most competitive deal in the market. Let us show you how shared and serviced offices can be the perfect solution for your business. www.office hub.com.au www.office hub.co.nz Conditions apply A portion of the square meterage factors in access to shared space. Price includes any incentives offered. This is for new tenants only. Inspiring Creative Space | Fully Furnished | Great Amenities $1200pw | 8 Person Worksp..
PROPERTY OVERVIEW $1200pw Price incl. Luxury coworking and office studio in Rosebery, where creativity and inspiration radiate from impeccable facilities and detailed communal spaces. Behind the walls of an iconic 1930s Sydney building, photographic studios, event spaces, retail space and luxury serviced office suites line the corridors. The one of a kind coworking concept offers a singular experience that can only be matched to that of a luxury hotel, where thoughtful design is blended with a modern and intuitive approach to service. The chic inhouse cafe is host to a Supper Club programme which unites the best innovators and corporate minds over cuisine prepared by award winning chefs, while the onsite fitness facilities regularly host Australia’s leading personal trainers and fitness pros. The Scandinavian designed event spaces offer a beautiful backdrop to your next fashion show, brand launch, media dinner or corporate event. All this is enjoyed by a members only community of like minded entrepreneurs building towards a collaborative future of innovation. Book a tour now to visit Sydney’s leading luxury co share office and discover how a fresh take on space, style and service can influence the success of your brand. A decade ago, this historic Rosebery warehouse was nothing but an empty shell of original 1930s architecture. From 2013, it was extensively and sensitively redeveloped into Sydney’s leading luxury coworking facility, incorporating workspaces and a variety of wellness and lifestyle facilities around a central alfresco courtyard. The outdoor space is bathed in sun and dripping with greenery, perfect for casual meetings, and the fitness studio plays host to yoga, pilates and boxing classes. There is onsite car parking available for members, as well as end of trip facilities to ensure you arrive in style. Rosebery is located 6km south of Sydney CBD and it has become the centre of fashion, textiles and media industries in the city. This serviced office is conveniently located for road connections and public transport via Green Square Station, and it is close to the landmark Grounds of Alexandria and the Australian Golf Club. The advertised office space is perfect for a team of 8. If you need more or less space, we have over 30,000 furnished workspaces all over the world suitable for a team of 1 to 200+. Our award winning team offer a free service that will help you find the perfect solution for your needs, so reach out if you need more help. What you get for your weekly rent Dedicated desk, chair and storage Commercial grade internet Full time receptionist Unlimited use of kitchen facilities Regular workspace cleaning Flexible contract terms 24/7 Access Office features Access to in house photographic studio Professional A3 printer /photocopier and scanner Barista bar Access to shared meeting and boardroom Mail and package receiving and sending available Storage available Quality finishes and amenities Share with a great group of people Fun working environment Building features Shower facilities Air Conditioning Open plan style and private offices Building security On site parking Adjacent to the Australian Golf Club 1.4km to Green Square Train Station Close to bike paths and bus stops 850m to East Village Shopping Centre Close access to the M1 WHO IS OFFICE HUB? Office Hub is Australia & New Zealands No 1 small office space commercial real estate agency. We have the largest collection of shared spaces, coworking and serviced offices in Australia & New Zealand, perfect for 1 200 employees. Let us take you on a tour of all the spaces that fit your needs and budget. Our service is complimentary and we work for you and the landlord to negotiate the most competitive deal in the market. Let us show you how shared and serviced offices can be the perfect solution for your business. www.office hub.com.au www.office hub.co.nz Conditions apply A portion of the square meterage factors in access to shared space. The advertised price includes any incentives offered based on a 12 month agreement. If a shorter period is agreed to please note the price may increase accordingly. This is for new tenants only. Rare opportunity to Lease all or part of this fully fitted out office, in one of the Eastern Suburb's most tightly held commercial precincts; Features; + 312.1 sqm approx of fully fitted office space + Potential to sub divide into smaller areas from 77.4 sqm & 234.7 sqm + Great natural light throughout + Self contained with internal W.C & kitchenette + Access to shared outdoor terrace area ideal for break out / BBQ area + Secure building, with dual lift access and ducted air con throughout + Potential for future growth space. + Two (2) tandem car spaces available separately 100 New South Head Road is ideally located just a short walk and approx five (5) minutes drive to Sydney CBD (approx). + 78 sqm (approx.) second floor office suite facing Spring Street + Recently refurbished with new ceiling, lighting and carpeting throughout + Excellent natural light, fully air conditioned, lift access, common kitchen and toilet facilities + Existing tenancies include chiropractor, tutoring college, travel agent, training centre, etc. 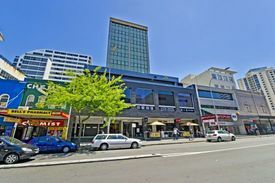 + Available now Centrally located in the busy Royal Arcade, opposite Bondi Junction train/bus interchange and within 100m of Westfield and Eastgate Shopping Centres. Outgoings 3.54% of increases only of water rates, land tax, council rates and insurance. 3.54% of rubbish removal costs. Front modern unit with street exposure and ample light throughout Total building area 169m2 plus bonus mezzanine office of 20m2 Ground floor funky offices / lunchroom with polished concrete floors overlooking lush green gardens Internal kitchenette and disable amenities Modern mezzanine office featuring open plan area, boardroom with data cabling, 2 small partitioned offices and ducted air conditioning Small high clearance warehouse with electric roller door with low clearance warehouse area and storage Four (4) allocated car spaces Conveniently located close proximity to airport, Port Botany and main arterial roads Rare opportunity to lease an extremely modern property and just move in A must to inspect! Heart Of Double Bay Retail P.O.A. 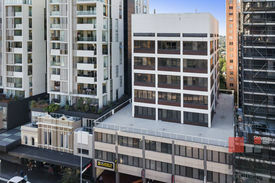 Westfield Tower 1 is ideally located in the heart of Bondi Junction, opposite bus/rail interchange and Oxford Street Mall. Make the most of Westfield Shopping Centre literally at your footsteps. Features: • Excellent Coastal Views • Owner will assist with fit out • 'A' Grade fit outs • Highest quality amenities and services • Fully refurbished throughout with modern foyers & lifts • One of Bondi Junction's best and most sought after office towers • Secure Parking available: Payable monthly under separate licence agreement • Available June 2019 For any further questions or if you wish to arrange an inspection please feel free to contact Deans Property today! 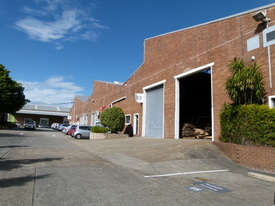 ~ Available September 2019 ~ High clearance warehouse approx 972sqm ~ Warehouse has both loading docks and on grade access ~ ESFR sprinkler system ~ Close proximity to Sydney Airport and Port Botany ~ Access via several large driveways with three entry/exit points to the estate via Maddox St and two entry/exit points via Huntley Street ~ Landscaped estate ~ Well connected to public transport. Creative Space | Contemporary Office Space | Premium Facilities $550pw | 4 Person Workspa..
PROPERTY OVERVIEW $550pw Price incl. Contemporary office space for rent in a chic Darlinghurst location with city views and a rooftop swimming pool. This flexible workspace is perfect for freelancers or small teams in the startup, technology, creative and services space. The expansive light filled office features a large shared space with dedicated desks, a 4 person unfurnished private office suite and a spacious glass walled meeting room, plus a generous kitchen and breakout space at the centre of it all. Fill your lunch breaks with refreshing swims in the heated rooftop pool or explore the sophisticated restaurants in fashionable Darlinghurst. In the office there is abundant storage space, secure bicycle storage and commercial grade internet inclusive. This upmarket office space in Darlinghurst is available on flexi terms starting from 1 month with the ability to upsize your space as you grow. Enquire with Office Hub or book a tour to view this hidden gem! The Oxford Foundry is a beautiful heritage listed building nestled on a quiet lane in Darlinghurst. Just steps from Sydney CBD, it offers a city lifestyle at a slower pace without the traffic and noise you’d get down the road. The striking white building is home to a mix of exclusive commercial tenants and high end residential occupants who together enjoy an historically significant building that has been expertly refreshed to meet every modern convenience. The fully secured building offers showers, bathrooms, a rooftop terrace and heated swimming pool, Fibre internet with various high speed telecom options and multi zone air conditioning. Nestled just off Liverpool Street, this coworking hub offers tenants an easily accessible location between Hyde Park, Surry Hills and Kings Cross – step outside the office to discover diverse and delicious cuisine and a vibrant small bar scene in this eclectic inner city suburb. The advertised office space is perfect for a team of 4. If you need more or less space, we have over 30,000 furnished workspaces all over the world suitable for a team of 1 to 200+. Our award winning team offer a free service that will help you find the perfect solution for your needs, so reach out if you need more help. What you get for your weekly rent , Access to complimentary bar , Access to internal breakout areas , Access to kitchen facilities , Access to secure printer and scanner , Building outgoings included , Commercial grade internet (Free) , Dedicated desk with business hours access , Electricity usage included , Flexible lease with the ability to grow into bigger space , FREE use of the meeting rooms , Plug and play furnished workspace , Premium coffee/tea facilities , Regular cleaning Building features , Abundance of natural light , Air conditioning , Boutique low rise buidling , Car parking Street / Public Car Park (Paid) , Car parking Street (Free) , Creative space , Direct access to public transport , End of trip facilities e.g showers, bike racks , Mixed commercial and residential building , New fit out , Print, scan and copy facilities , Private offices and dedicated desks available , Professional working environment , Rooftop Bar and break out space , Swimming pool and change rooms 550m to Museum Station 300m to Crown & Oxford Streets 220m to Oxford Village Shopping Centre Opposite a coffee shop and yoga studio 15 min walk to Kings Cross Station Who is Office Hub? Office Hub is the world\'s No.1 marketplace for office space. We have a huge global selection of coworking spaces, serviced offices and shared office spaces with flexible options to suit teams from 1 200 people. We\'ll take you on a tour of all the workspaces that fit your needs and work on your behalf to get the best price possible. We\'ll help you discover how shared office space can be the most beneficial and budget friendly solution for your business. www.office hub.com Conditions apply – the advertised price includes any incentives offered based on a 12 month agreement and is available to new tenants only. Please note that the rental rate may increase for a shorter rental period. A portion of the square meterage factors in access to shared space. Spacious Environment | Great Location | Fully Furnished $1197pw | 8 Person Worksp..
PROPERTY OVERVIEW $1197pw Price incl. Bright and fully equipped office space for rent in Kings Cross close to the iconic Coca Cola sign. This workspace sits on the first floor of a three level building and boasts abundant natural light and a relaxed creative fit out. There are eight spacious desks in the office plus a meeting area and large windows overlooking the busy William Street. Polished timber floors, high ceilings, whitewashed walls and vintage features contribute to a stylish distressed vibe that creatives will love. The Darlinghurst workspace is accessible 24/7 and has its own on floor kitchenette and bathroom. Exciting flexible options are available whether you want to rent the entire floor or just a few desks. Please enquire to explore the possibilities – short and long term rent available now. This small heritage building is located on the high traffic William Street in the heart of Kings Cross. Shoulder to shoulder with A grade office developments in a prime CBD fringe location, it gives tenants the chance to secure a sought after position without needing to move into a cookie cutter corporate workspace. The building has three floors of light filled creative space with a retail store on the ground floor, the advertised workspace on the second level and the office of a boutique property development firm on the top floor. It is air conditioned, accessible by staircase and pet friendly. Located just steps from the Kings Cross Coca Cola sign, it grants a lively atmosphere close to Kings Cross’ famous nightlife and great restaurants. Within walking distance of Kings Cross Station, Hyde Park, the Botanic Gardens and Surry Hills, this desirable address is also accessible for every commute. The advertised office space is perfect for a team of 8. If you need more or less space, we have over 30,000 furnished workspaces all over the world suitable for a team of 1 to 200+. Our award winning team offer a free service that will help you find the perfect solution for your needs, so reach out if you need more help. What you get for your weekly rent , 24/7 Access , Access to internal breakout areas , Access to kitchen facilities , A fully furnished office suite , Building outgoings included , Collaborative space with a great community feel , Flexible lease terms from 1 month Building features , Abundance of natural light , Air conditioning , Creative space , Direct access to public transport , Ground floor security , Modern communal food preparation areas , Open plan layout , Pet friendly office space 400m to Kings Cross Station 250m to iconic Coca Cola sign 750m to Hyde Park Close to great cafes, restaurants and bars 400m to Coles and Woolworths Who is Office Hub? Office Hub is the world\'s No.1 marketplace for office space. We have a huge global selection of coworking spaces, serviced offices and shared office spaces with flexible options to suit teams from 1 200 people. We\'ll take you on a tour of all the workspaces that fit your needs and work on your behalf to get the best price possible. We\'ll help you discover how shared office space can be the most beneficial and budget friendly solution for your business. www.office hub.com Conditions apply – the advertised price includes any incentives offered based on a 12 month agreement and is available to new tenants only. Please note that the rental rate may increase for a shorter rental period. A portion of the square meterage factors in access to shared space. Abundance Of Natural Light | Free Meeting Rooms | Shared Workspace $200pw | 2 Person Workspa..
PROPERTY OVERVIEW $200pw Price incl. 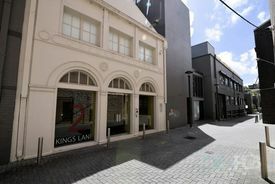 Photography studio & coworking space for rent right by Central Station in the heart of Sydney. This is an incredible opportunity if you’re a photographer that needs both desk space and studio access or alternatively if you’re just looking for a desk in a creative and welcoming office. The gorgeous coworking space sits on the upper floor of the converted warehouse – light filled, white washed and splashed with colour and plants, it promotes endless good vibes. The photography studio is on the ground floor and has a permanent, purpose built 6x6m cyclorama, inbuilt shutters, reflective surfaces, polyboards, mirrors, floor drapes and ladders. It gets lots of natural daylight and can be completely blacked out, plus it’s accessible and secure 24/7 with Wi Fi and wheeled trolleys to put laptops and equipment on. Also on the ground floor is a shared meeting table and kitchen facilities. Join some of Sydney’s top architects, designers, photographers, writers and other likeminds as you pursue your passion in a space that gives more. Offering flexibility, affordability and fantastic facilities, this space is available now on flexi terms! This two storey warehouse is a longstanding and well known creative office hub tucked away off the beaten track in the hip inner suburb of Chippendale. Close to the action but set on a quiet back road, it has a great shared courtyard where members can meet and mingle. It’s also just steps from Central Station so you can reach a wide range of dining, shopping and entertainment hotspots by foot, including the Kensington “eat” Street and the Seymour Centre. Head onto George Street or into Chinatown or Surry Hills to enjoy some of Inner Sydney’s best food and nightlife – it’s all just a walk away. The advertised office space is perfect for a team of 2. If you need more or less space, we have over 30,000 furnished workspaces all over the world suitable for a team of 1 to 200+. Our award winning team offer a free service that will help you find the perfect solution for your needs, so reach out if you need more help. What you get for your weekly rent , Access to internal breakout areas , Access to kitchen facilities , Access to secure printer and scanner , Collaborative space with a great community feel , Commercial grade internet (Free) , Dedicated desk with 24x7 Access , Electricity usage included , Flexible lease with the ability to grow into bigger space , Flexible terms , FREE use of the meeting rooms , One simple bill for everything related to your workspace , Regular cleaning Building features , Abundance of natural light , Air conditioning , Boutique low rise buidling , Car parking Street / Public Car Park (Paid) , Creative co working space , Industrial / Warehouse style fitout , Open plan layout , Print, scan and copy facilities , Shared office space Supremely convenient 6 minutes walk from Central Station (Railway Square) close to trains, buses and shops. 3 minutes from Kensington Street with all its bars, restaurants and lunch spots 2 minutes walk from Chippendale Green, Central Park our sunny local park with shops, supermarket and cafes on our doorstep a great lunch spot. Minutes from great Chippendale cafes, galleries, bars and restaurants Brickfields Bakery, White Rabbit Gallery, Ester, LP's Quality Meats and The Old Clare, just to name a few! WHO IS OFFICE HUB? Office Hub has largest collection of shared office space, sublet office space, creative coworking office space and serviced offices, perfect for 1 200 employees. Let us take you on a tour of all the spaces that fit your needs and budget. Our service is complimentary and we work for you and the landlord to negotiate the most competitive deal in the market. Let us show you how shared and serviced offices can be the perfect solution for your business. www.office hub.com.au www.office hub.co.nz Conditions apply A portion of the square meterage factors in access to shared space. The advertised price includes any incentives offered based on a 12 month agreement. If a shorter period is agreed to please note the price may increase accordingly. This promotional offer for new tenants only and may be withdrawn at any time due to space availability. A Grade Fitout | Brightly Lit | Cool Space $825pw | 6 Person Workspa..
PROPERTY OVERVIEW $825pw Price incl. Contemporary office space for rent in a chic Darlinghurst location with city views and a rooftop swimming pool. This flexible workspace is perfect for freelancers or small teams in the startup, technology, creative and services space. The expansive light filled office features a large shared space with dedicated desks, a 4 person unfurnished private office suite and a spacious glass walled meeting room, plus a generous kitchen and breakout space at the centre of it all. Fill your lunch breaks with refreshing swims in the heated rooftop pool or explore the sophisticated restaurants in fashionable Darlinghurst. In the office there is abundant storage space, secure bicycle storage and commercial grade internet inclusive. This upmarket office space in Darlinghurst is available on flexi terms starting from 1 month with the ability to upsize your space as you grow. Enquire with Office Hub or book a tour to view this hidden gem! The Oxford Foundry is a beautiful heritage listed building nestled on a quiet lane in Darlinghurst. Just steps from Sydney CBD, it offers a city lifestyle at a slower pace without the traffic and noise you’d get down the road. The striking white building is home to a mix of exclusive commercial tenants and high end residential occupants who together enjoy an historically significant building that has been expertly refreshed to meet every modern convenience. The fully secured building offers showers, bathrooms, a rooftop terrace and heated swimming pool, Fibre internet with various high speed telecom options and multi zone air conditioning. Nestled just off Liverpool Street, this coworking hub offers tenants an easily accessible location between Hyde Park, Surry Hills and Kings Cross – step outside the office to discover diverse and delicious cuisine and a vibrant small bar scene in this eclectic inner city suburb. The advertised office space is perfect for a team of 6. If you need more or less space, we have over 30,000 furnished workspaces all over the world suitable for a team of 1 to 200+. Our award winning team offer a free service that will help you find the perfect solution for your needs, so reach out if you need more help. What you get for your weekly rent , Access to complimentary bar , Access to internal breakout areas , Access to kitchen facilities , Access to secure printer and scanner , Building outgoings included , Commercial grade internet (Free) , Dedicated desk with business hours access , Electricity usage included , Flexible lease with the ability to grow into bigger space , FREE use of the meeting rooms , Plug and play furnished workspace , Premium coffee/tea facilities , Regular cleaning Building features , Abundance of natural light , Air conditioning , Boutique low rise buidling , Car parking Street / Public Car Park (Paid) , Car parking Street (Free) , Creative space , Direct access to public transport , End of trip facilities e.g showers, bike racks , Mixed commercial and residential building , New fit out , Print, scan and copy facilities , Private offices and dedicated desks available , Professional working environment , Rooftop Bar and break out space , Swimming pool and change rooms 550m to Museum Station 300m to Crown & Oxford Streets 220m to Oxford Village Shopping Centre Opposite a coffee shop and yoga studio 15 min walk to Kings Cross Station Who is Office Hub? Office Hub is the world\'s No.1 marketplace for office space. We have a huge global selection of coworking spaces, serviced offices and shared office spaces with flexible options to suit teams from 1 200 people. We\'ll take you on a tour of all the workspaces that fit your needs and work on your behalf to get the best price possible. We\'ll help you discover how shared office space can be the most beneficial and budget friendly solution for your business. www.office hub.com Conditions apply – the advertised price includes any incentives offered based on a 12 month agreement and is available to new tenants only. Please note that the rental rate may increase for a shorter rental period. A portion of the square meterage factors in access to shared space.